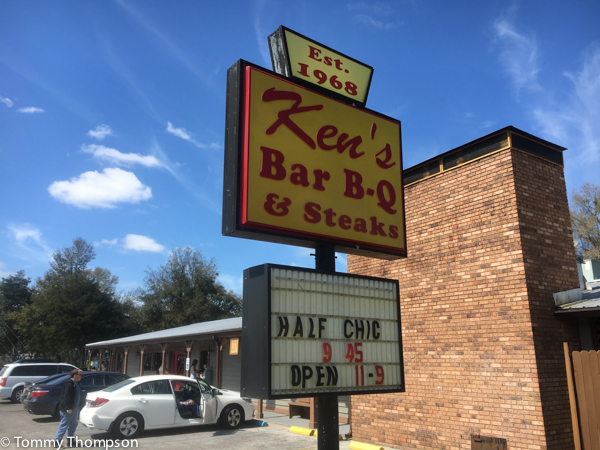 Ken’s BBQ has two locations in Lake City, FL. One is on US90, east of I-75 and the other is on US41, south of town. BBQ “joints” need to smell. Not like Lysol or Clorox, but like smoke! And at either of the Ken’s BBQ & Steaks locations in Lake City, Florida, the first thing that hits you when you walk in the door is the smell of smoke and smoked meats. Unlike bigger BBQ Restaurant chains (Ken’s has a total of 3 locations–two in Lake City and one in Madison! ), Ken’s isn’t all about charm and presentation, but it’s all about good, tasty food. 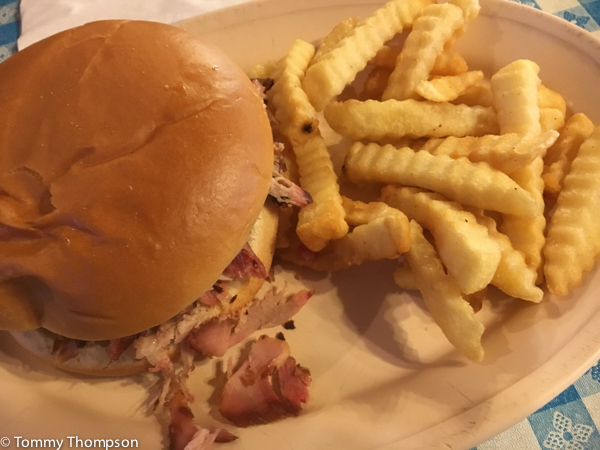 BBQ needs to be simple, and a tasty chopped pork sandwich is the sure sign the folks who run the restaurant care about what they serve. 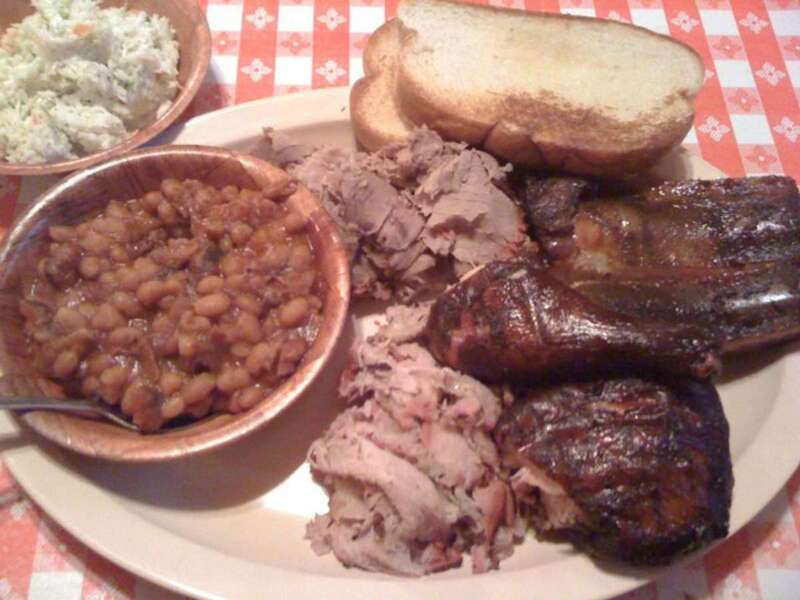 Ken’s baked beans are savored far and wide as the favorite side dish for a plate of tasty BBQ’d beef, pork or chicken. Ken’s is family friendly and informal.